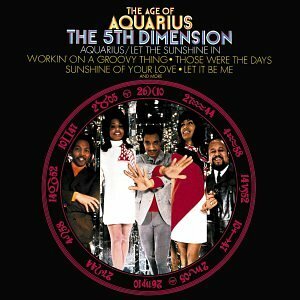 Paul Vedant » Blog Archive » 14 February 2009 – the Dawning of the Age of Aquarius? 14 February 2009 – the Dawning of the Age of Aquarius? Apparently the astrological combination of the first two lines – with Jupiter aligning with Mars in Aquarius – has actually occured twice since the musical’s release, in 1973 and 1998. It occurs again this year along with other alignments – Neptune, Chiron, the Sun and the North Node are also in Aquarius – at 7.25am (GMT) on Valentine’s Day, February 14 2009. All the other planets are also in astrologically significant positions emphasising change, co-operation and creativity. This rare alignment inspires the possibility for transcendental breakthrough in seemingly intransigent situations. Sounds like it might be just what humanity needs at the moment! However the alignment 0f 14 February 2009 is very powerful for anyone who believes in the influence of the planets on Earth events and consciousness. And even if you don’t hold much faith in astrology, many people around the world will enough attach significance to this date to collectively energize a wave of intention around the globe. This will surely nudge along human consciousness a little closer to a new age and many believe towards the 5th dimension (coincidentally perhaps?) where we will move beyond war, greed and oppression. So let love steer the stars, on Valentine’s Day! I was 18 years of age when this song sang through every fiber of my being. Being an Astrologer 40 years later I am very excited to realize the Moon indeed will be in the 7th house and their will be a lovely trine to many Aquarius planets. anything special instore for people born on 2/14/68 (same year the musical came out) this coming Valentines Day? This month holds a full moon lunar eclipse on February 9 in your house of significant other. If you were born on or within five days of February 9, the eclipse will speak directly to you. This full moon will bring a decision about your partner, and this person may be associated with you romantically (say, as a marriage partner) or in business (such as a business partner or agent, for example). Feb 14th is my husband, Paul Gabriel’s birthday & we are excited about the change in the atmosphere on all levels. Thank you for sharing! Exciting time to be alive, when the whole world is changing, including the planets! God is amazing! Love this article! my heart sings!